Angela Hausman is currently an Assistant Professor of Marketing at the University of Texas-Pan American. She holds a PhD from the University of South Florida and an MBA from the University of Pittsburgh. Her publications span both consumer behavior and business-to-business marketing and have appeared in a number of scholarly journals, including the Journal of the Academy of Marketing Science, Industrial Marketing Management, Journal of Business Research, Journal of Services Marketing, and Journal of Consumer Marketing. In addition, she has made presentations at national and international conferences, such as AMA, ACR, and AMS. She is currently working predominantly in the areas of the internet, health care, and international marketing. I am very happy to have been asked to act as guest editor for this special issue dealing with digital technologies in business-to-business markets. It was a pleasure to see the variety of approaches researchers are taking to understand factors impinging on the rapidly changing landscape of technology. The multi-national perspective provided by these researchers makes this issue particularly valuable. I am confident their findings will provide guidance for industrial firms as they move forward. The first set of articles in this series dealt with utilization of information technology by firms as both a marketing tool and a means to manage their supply chains effectively. The first, by Dr George Day and Ms. Katrina Bens, reports the value business-to-business firms find in using the Internet to help achieve their goals. Not only have firms been able to avoid adverse consequences, such as channel conflict, they have seen the Internet help them leverage existing competencies. Echoing this, Drs Kim, Cavusgil, and Calantone discuss the benefits information technology has on firm performance within the context of supply chain relationships. Drs Myhr and Spekman then discuss the role of electronic communication in mediating supply chain relationships to create value for the chain. The article by Dr Tina Harrison and Ms Kathryn Waite looks at adoption of website technology within a supply chain context. Combining both qualitative and quantitative approaches, the study provides guidance for firms in their efforts to increase the use of websites by financial services supply chains. The final paper in this section was written by Drs Hausman and Johnston, and Mr Oyedele. This paper looks at coordination between firms in a network using the adoption of inter-organizational systems, such as electronic data interchange, as an exemplar. The next set of articles looks at different digital technologies and explores how these technologies have been used to improve firm effectiveness. Drs Houldsworth and Alexander explore the role digital communication plays in facilitating collaboration between virtual teams. Drawing on the learning literature, the study takes a qualitative approach with the interesting finding that teams prefer face-to-face encounters over those that are electronically mediated. Dr Ng next provides tools for selecting e-business models in the context of Australian agribusinesses. 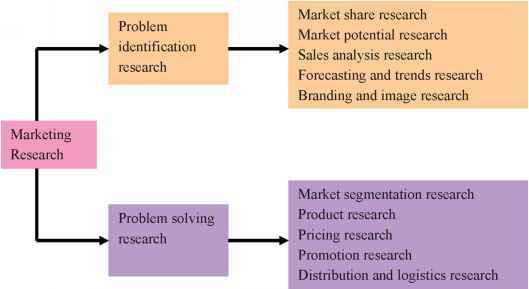 The use of decision support systems in business-to-business markets was the topic of the study by Drs Noori and Salimi. This study integrates the important areas of decision support systems with customer relationship management. This dovetails well with the paper written by Drs Payton and Zahay. Their study also explores customer relationship management from the perspective of identifying factors contributing to its under-utilization by the marketing group despite frequent use of the data warehouse by finance and other functional groups. The final paper, by Dr Tim Foster, looks at the use of extranets to create value for business-to-business firms. The primary driver of value in this context is not only the value taken out by the firms, but the value put into the extranet by member firms. In sum, these articles provide both theoretical and practical perspectives on the use and utility of various digital technologies in creating business value. I hope you find the articles as insightful and useful as I did.